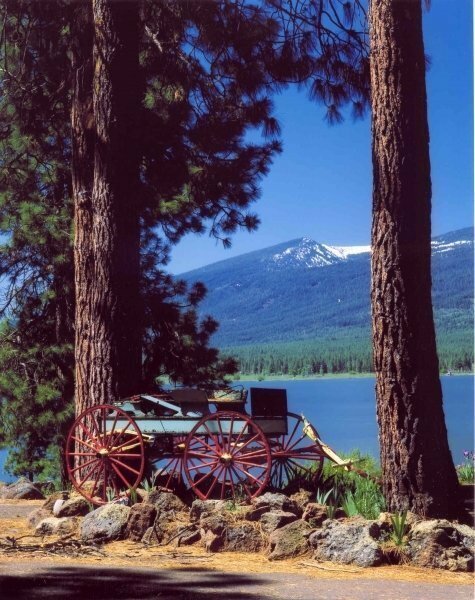 Rock Creek Ranch, Klamath County, Klamath Falls, OR-3386 +/- acres with 4 miles of lake frontage. A very efficient and economically operating cattle ranch with a combination of rangeland pasture, irrigated meadows and timberland. Big game wildlife includes deer, elk, bear and mountain lion. Other wildlife includes bobcat, bald eagles, Mt. quail, ruffled and blue grouse and doves. Denny Creek flows through the ranch. Zoned for a destination resort.